(Project proposed to be launched in March 2013; Routine Work started on October 2013). Waste Segregation, Recycle and Up-cycle Project involving local community participation. 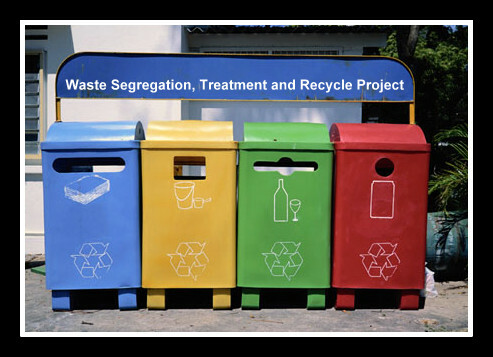 Trishul (NGO) proposes to adoption of Joseph Patel Wadi and few immediate Neighboring houses for slum / community waste management program with community participation and targeted interventions for cleanliness and betterment of the slum and community neighborhoods. This sanitation program will invite and involving a close partnership with United Way of Mumbai; local stake holders like resident’s communities, Trishul Volunteers, Trishul Learning Center, citizens, Neighboring Colleges, corporate and MCGM. Community mapping and need assessment for the project. Capacity building of the slum residents and creation of Community Based Organizations. Setting up of Wet Waste Treatment facilities in the slum community for effective waste management. Information-Education-Communication campaigns in the community for Collection of Waste, Segregation of Waste at household level, health and hygiene practices etc. Educate people on techniques and benefits of recycling projects. An initiative that will help in environment conservation as minimum waste is send back to the mother dumping ground and remaining is recycled. Few mile Stones in Last One Year. Sponsor Waste Recycle Self Service Bins. Buy or help us sell products developed through this project (Compost organic fertilizer / soil, Up-cycled products from dry waste, plant saplings grown through this project). Sponsor / volunteer for cleanliness and awareness creation drive for this project. Versova, Andheri West, Mumbai 400061.